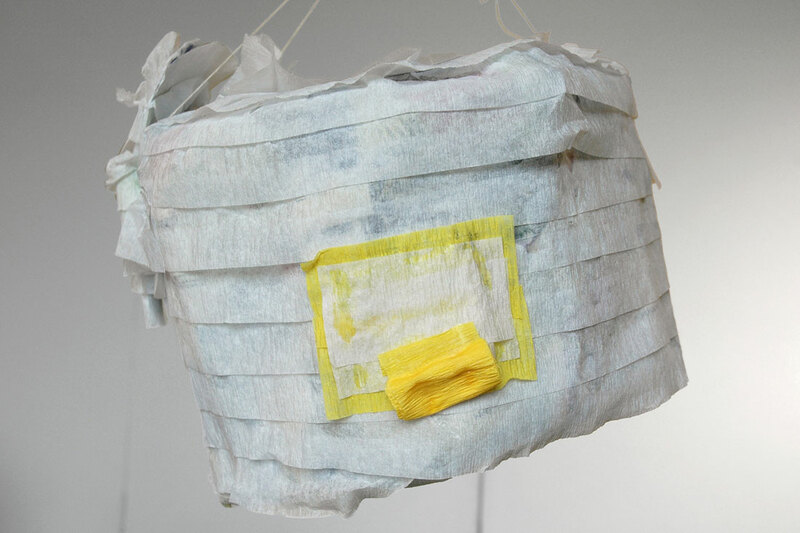 Lauren Frances Adams and Christine Wong Yap, a handle, a stem, a hook, a ring, a loop, 2015. 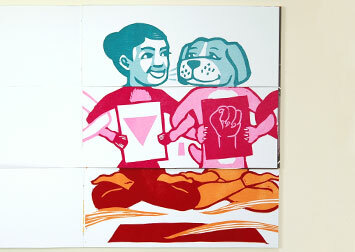 Part of Whitney Lynn: Rummage, at Open Source Gallery, Brooklyn, NY. 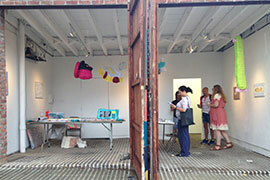 Lauren Frances Adams and Christine Wong Yap, a handle, a stem, a hook, a ring, a loop, 2015, installation view at Open Source Gallery, Brooklyn, NY. Part of Whitney Lynn: Rummage. 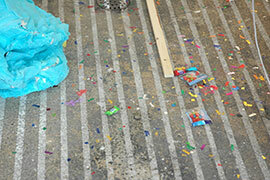 Photo: Shauna Sorensen. 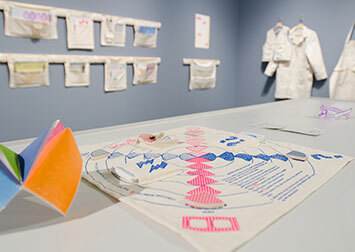 Lauren Frances Adams invited the public to submit stories of things they’ve lost or would like to lose. 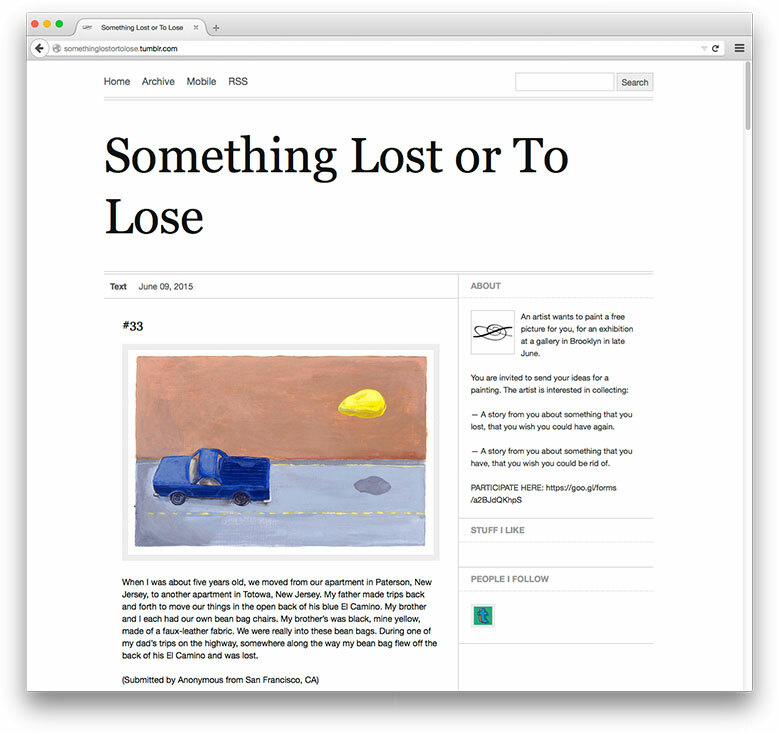 The stories are collected on the Something Lost or To Lose Tumblr. 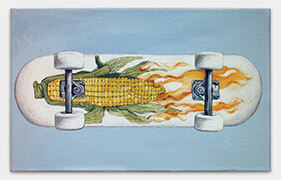 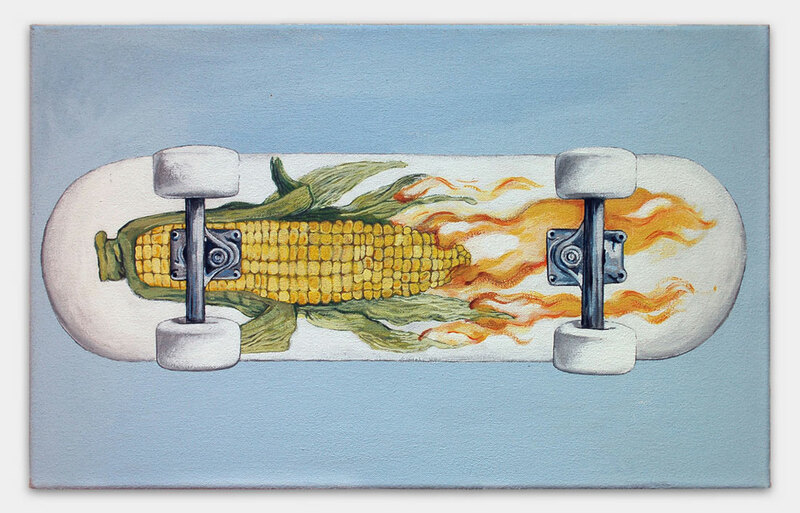 Lauren Frances Adams, 2015, Corn on Fire Skateboard, acrylic on canvas, 12 x 18 inches. 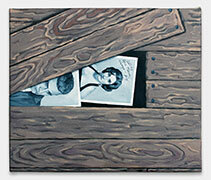 Adams painted the objects described in selected stories, and will be giving the paintings to the storytellers. 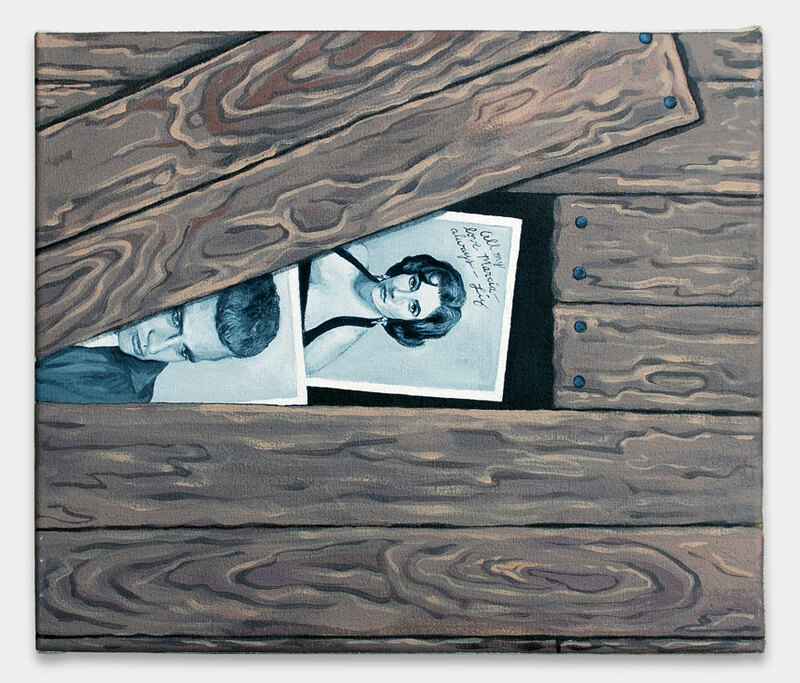 Lauren Frances Adams, 2015, Hollywood in the Attic, acrylic on canvas, 12 x 14 inches. 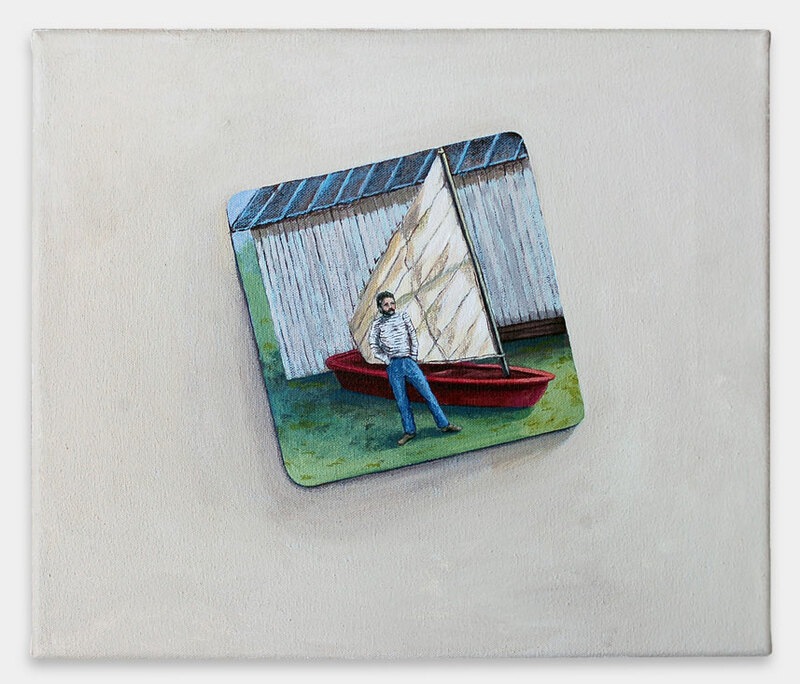 Lauren Frances Adams, 2015, Dad with His Boat, acrylic on canvas, 12 x 12 inches. 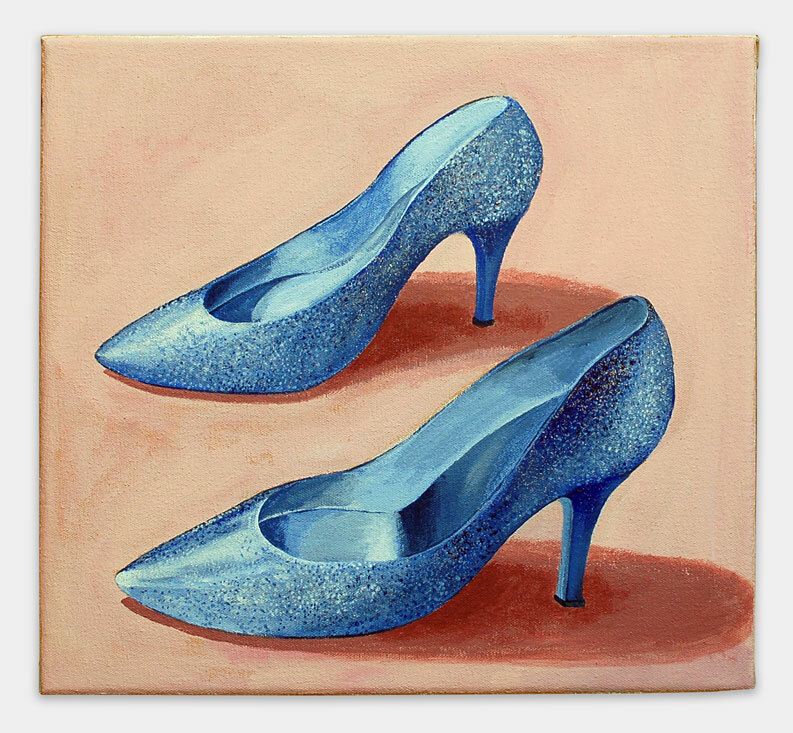 Lauren Frances Adams, 2015, Grandma Glitter Shoes, acrylic on canvas, 14 x 16 inches. 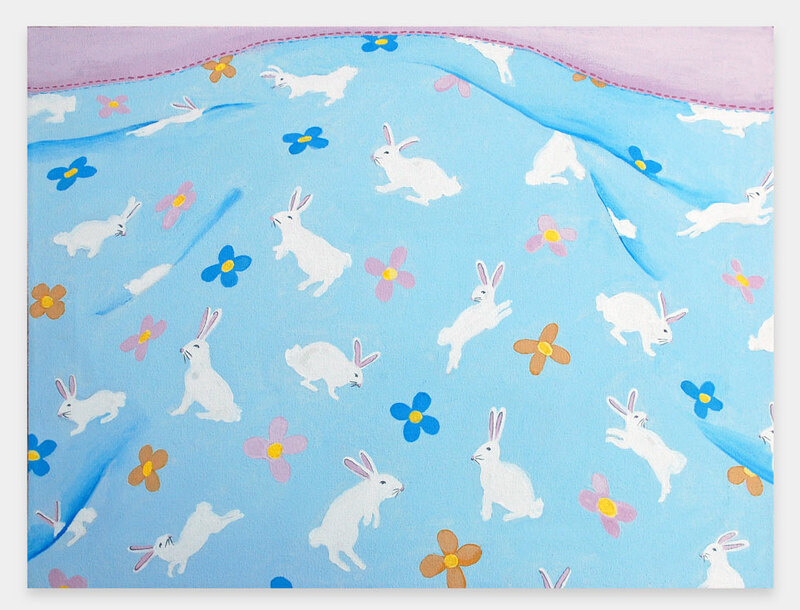 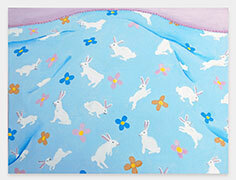 Lauren Frances Adams, 2015, Rabbi Blanket, acrylic on canvas, 18 x 22 inches. 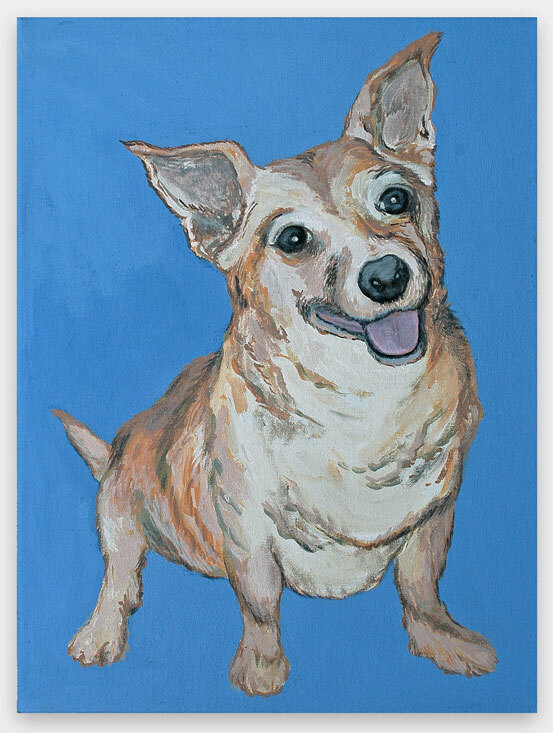 Lauren Frances Adams, 2015, Pebbles, acrylic on canvas, 20 x 15 inches. 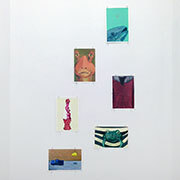 Lauren Frances Adams, 2015, smaller paintings inspired by lost objects described in stories, painted in-gallery; acrylic on canvas paper, dimensions variable. 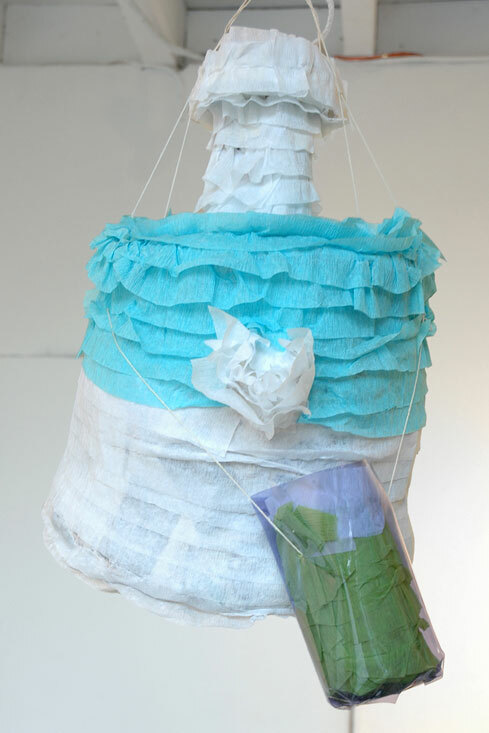 Christine Wong Yap, Rice Cooker Piñata (with detachable rice paddle), 2015, papier-mâché, streamers, ~14 x 14 x 14 inches. 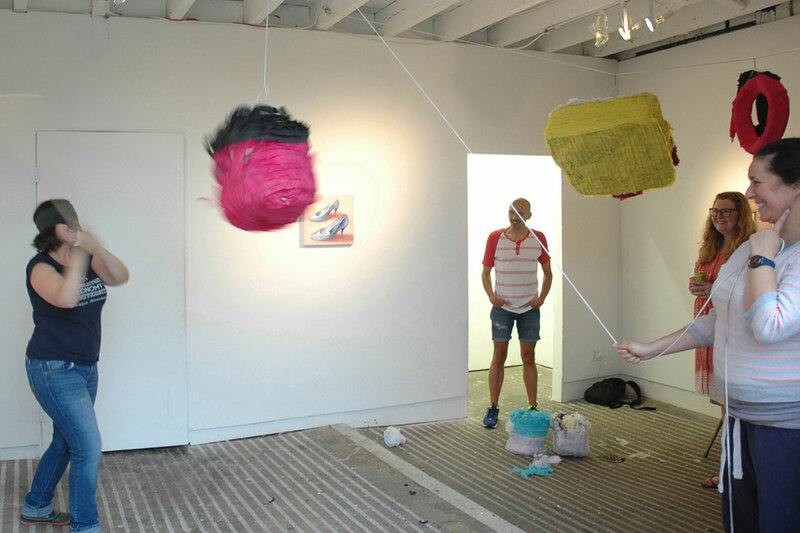 Yap made piñatas of possessions she would like to own but cannot store in her NYC apartment, to be destroyed in a gesture of non-attachment. 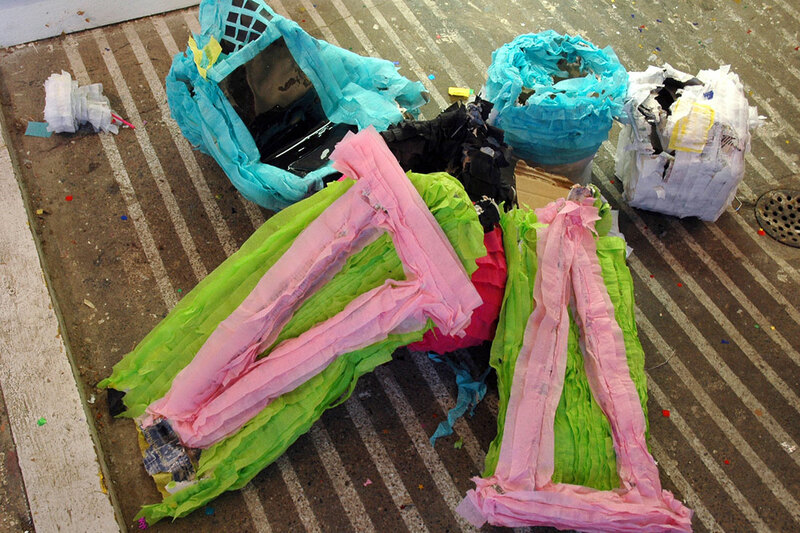 Christine Wong Yap, Juicer Piñata (with separate glass of green juice), 2015, papier-mâché, vinyl, streamers, ~18 x 12 x 16 inches. Christine Wong Yap, Nailgun & Hose Piñatas, 2015, papier-mâché, streamers, ~14 x 16 x 10 inches. 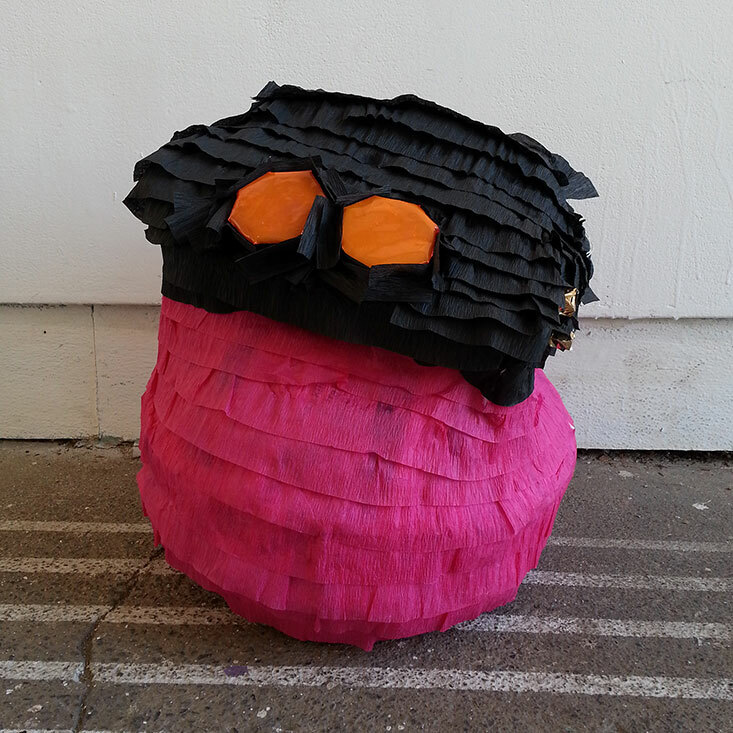 Christine Wong Yap, Air Compressor Piñata, 2015, papier-mâché, cardboard, vinyl, streamers, ~24 x 20 x 20 inches. 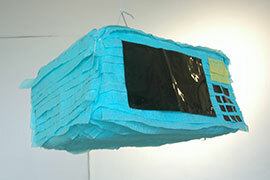 Christine Wong Yap, Microwave Piñata, 2015, papier-mâché, tape, vinyl, streamers, ~12 x 24 x 20 inches. 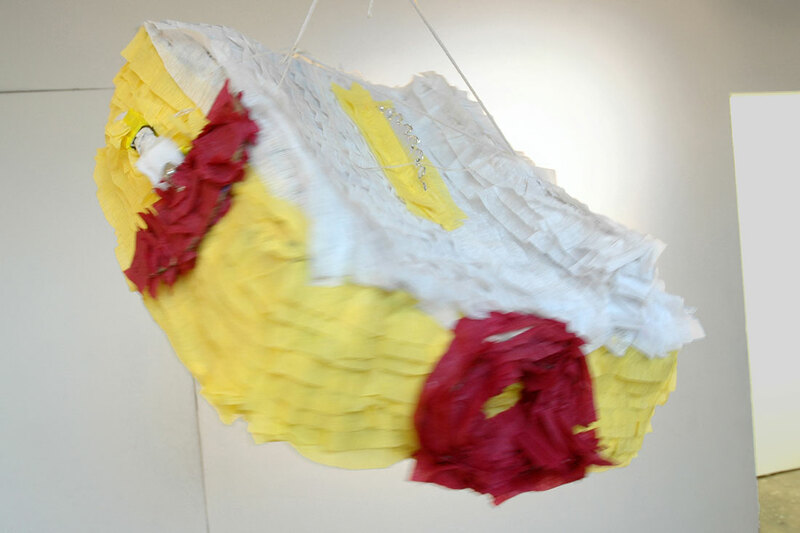 Christine Wong Yap, Table Saw Piñata (with detachable miter guage), 2015, papier-mâché, cardboard, aluminum tape, streamers, ~12 x 26 x 26 inches. Non-attachment Piñata Party. 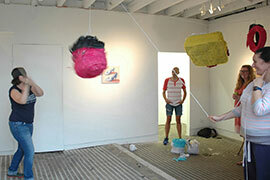 Participants with the Air Compressor Piñata. Lauren Frances Adams’ painting in the background. 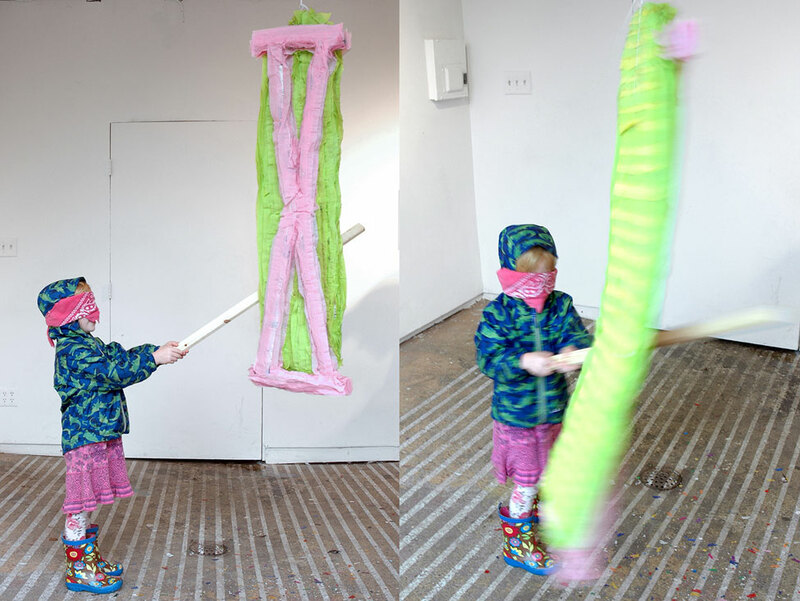 A young participant swings at the Ironing Board Piñata, 2015, papier-mâché, streamers, ~48 x 12 x 4 inches. a handle, a stem, a hook, a ring, a loop was a collaborative installation by Lauren Frances Adams and Christine Wong Yap of imaginative objects and paintings that explore desire, loss, and non-attachment. Adams and Yap share interests in how objects and possessions are imbued with meaning. 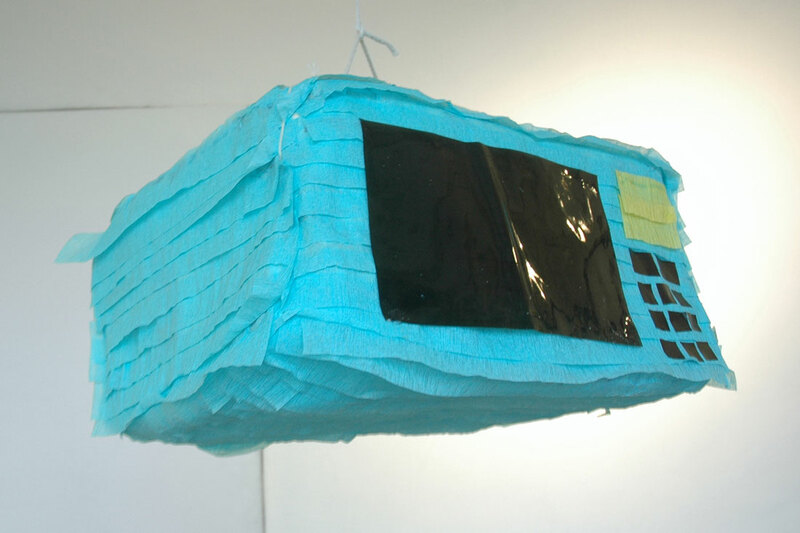 Garages often serve as surplus storage, but the lack of excess space in NYC inspired Wong Yap to make papier-mâché piñatas of objects that she would like to own but cannot store, such as cooking appliances and woodworking tools. 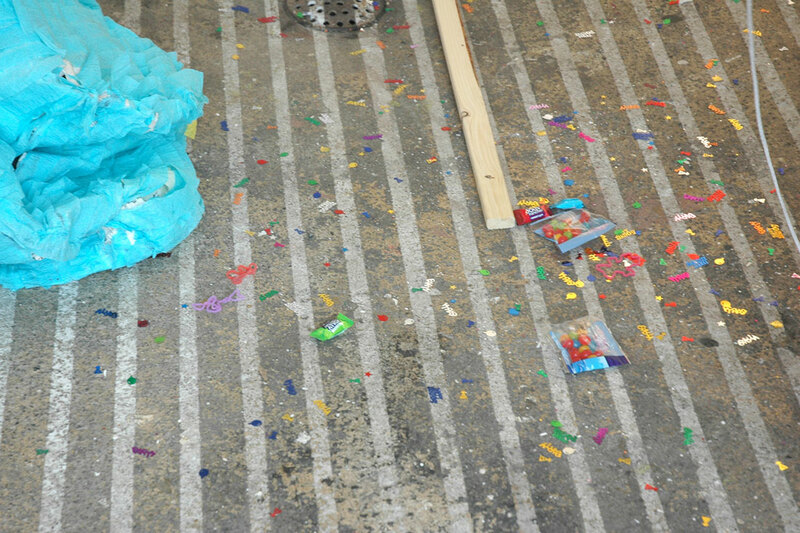 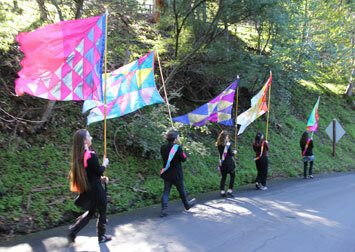 The exhibition culminated with a ‘non-attachment piñata party,’ where the public was invited to hit and destroy the piñatas in a gesture of letting go. 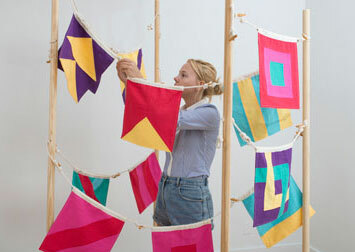 Adams invited strangers to submit a story of their personal desires and burdens to prompt a painting, resulting in a display of the finished artworks that will be exchanged with the storytellers. 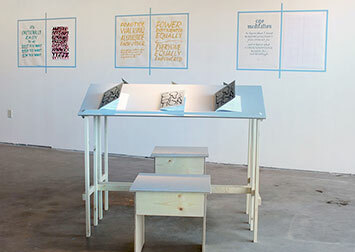 Inspired by the exchange found at garage sales and on internet websites like Craigslist, Adams performed a ‘service’ to solicit the hidden appreciations and antagonisms between strangers and their possessions. Read the collection of all stories at somethinglostortolose.tumblr.com. 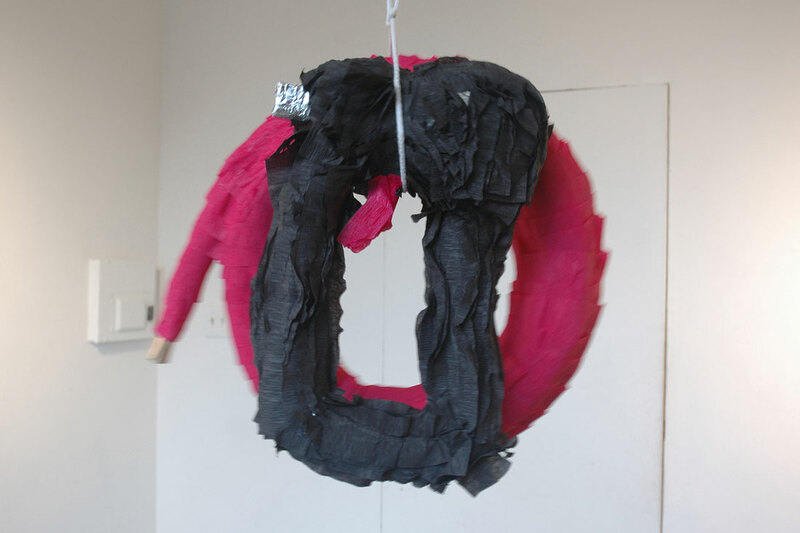 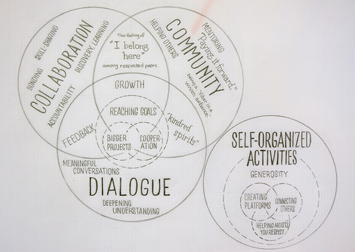 Caption: Lauren Frances Adams and Christine Wong Yap, a handle, a stem, a hook, a ring, a loop, 2015. Part of Whitney Lynn: Rummage, at Open Source Gallery, Brooklyn, NY. 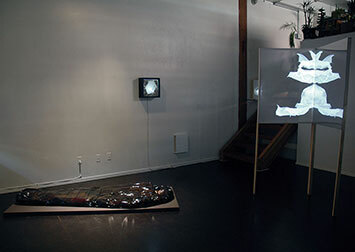 Thanks to Lauren Frances Adams, Shauna Sorensen, Whitney Lynn, Open Source Gallery, Monika Wührer, Michael Yap, and all participants!